BB creams gained immense popularity in Asia and over the past summer most of the major brands have launched BB creams in North America. So why the trend? These creams combine benefits of makeup and skincare into one product. Find a BB cream that fits your needs (and budget). BB creams gained immense popularity in Asia and over the past summer most of the major brands have launched BB creams in North America. So why the trend? These creams combine benefits of makeup and skincare into one product. BB stands for "Beauty Balm" or "Blemish Balm." Originally credited to German dermatologist Dr. Christine Schrammek-Druiso, in 1960 the first BB cream was created to sooth skin after treatments such as facial peels. The beauty balm phenomenon started in Korea and moved through Japan and Asia in the early 2000s. And now it has finally making its way to this side of the world. BB creams are essentially makeup and skincare in one. The formulas have multiple benefits including evening skin tone, reducing redness, oil-control, reducing fine lines, SPF and (recently new to the list) plumping. Not quite a tinted moisturizer, not a foundation and not a serum solution, but all of the above. They are an all-in-one solution for your beauty routine. This 8-in-1 solution even contains SPF 30 to protect your skin while looking beautiful. The formula is non-oily and provides sheer coverage so it doesn't really feel like your wearing anything. This cream contains mini beads that are micro-pigment capsules that melt on contact with the skin. As you apply the cream, it adjusts to your skin tone for a barely-there effect. It gives a matte finish and provides anti-redness benefits. Available in four shades. This cream contains SPF 15 for light daily sun protection. The new quick-break micro-sphere polymers break instantly upon contact with your skin, releasing bursts of moisture for a refreshing, lightweight texture. Available in two shades. With a colour-adapting formula, this BB cream matches your skin tone upon application. The cream comes out white then changes once applied to the skin. It provides light coverage with a hint of tint. Available in three shades. This skin enhancer comes in a compact with a mirror and sponge for easy application and touch-ups throughout the day. It has a creamy texture but transforms into a light powdery finish. This BB cream adds immediate and long-term hydrating benefits for the skin. Available in two shades. With patented Micro Pearls and Light Boost Technology, this cream illuminates the skin and provides a healthy radiance. It provides medium coverage and an instant dewy glow. The SPF 15 provides a light protection for daily sun exposure. This medium-coverage formula helps to conceal imperfections and even out skin tone but has a lightweight feel. 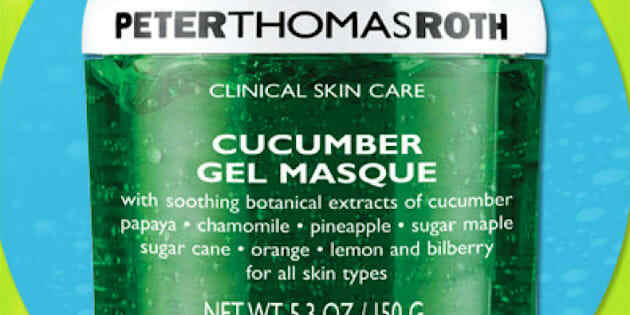 It contains caffeine to help calm irritated skin as well as stimulates the skin to reduce the appearance of fine lines. It's also 100 per cent fragrance free. A new take on the BB cream, this formula not only provides coverage and radiance, it also contains a powerful dipeptide that plumps the skin and reduces the appearance of wrinkles. Available in three shades: Capri, Hamptons and St Barts. This BB cream provides a matte finish to hide signs of fatigue. Without clogging pores, the formula hides fine lines by filling dehydrated lines and pores. Different from most BB creams, this clear formula makes it ideal for all skin types. The unique spatula-shaped applicator works like a brush, providing a smooth application. This beauty balm protects the skin with SPF 35 for full daily defense. The built-in primer helps makeup stay on for eight hours. Available in five shades.